// A super duper cute box. My favorite this year are the Sugar Paper boxes at Target! 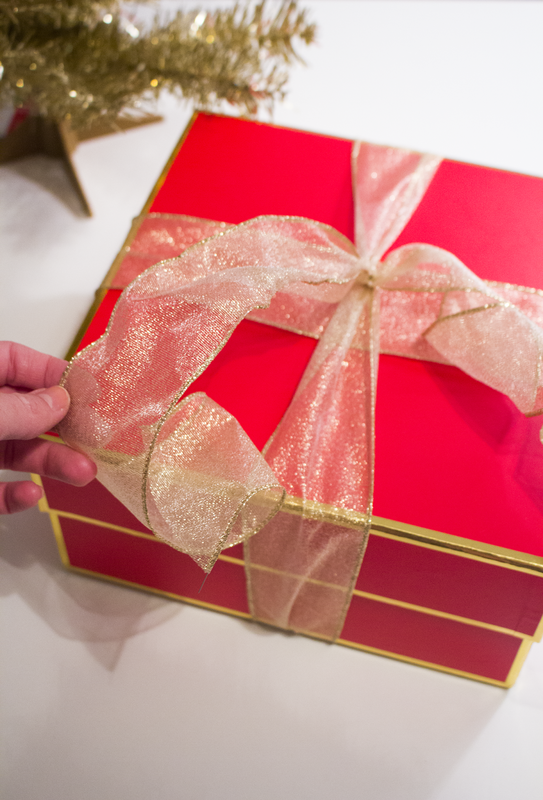 1 // Wrap your wire edged ribbon around the top of the box, twisting it underneath. Make sure to flatten it out as much as you can so it sits flat. 2 // Twist the two pieces together 2x so it stays in place. Tip: I love using wire ribbon because it stays in place much easier and looks pretty when in a bow! 3 // Next, we are going to 'curl' the ribbon. I just wrap it around my hand to give it a loose curl. You can curl the ribbon as much as you'd like. 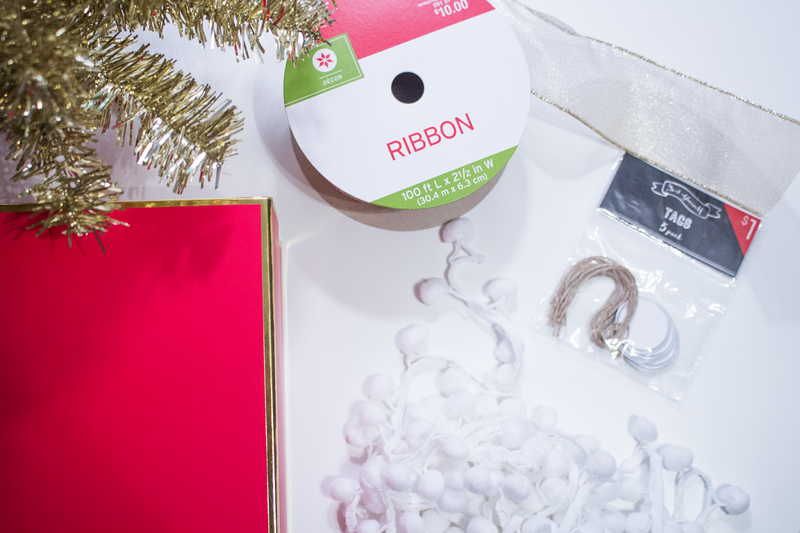 4 // Now, taking your pom-pom trim, tie it in a double knot around the box making sure it overlays the 'twist' you created with the ribbon. 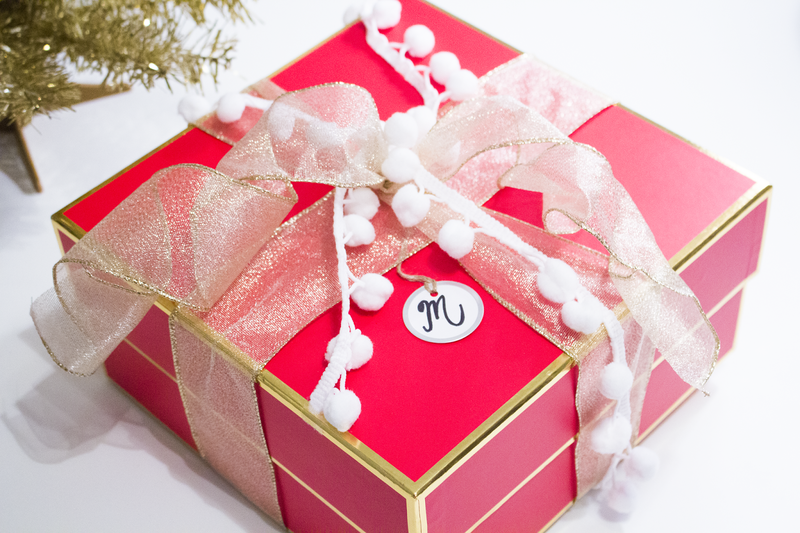 5 // Add a gift tag (you pick!). 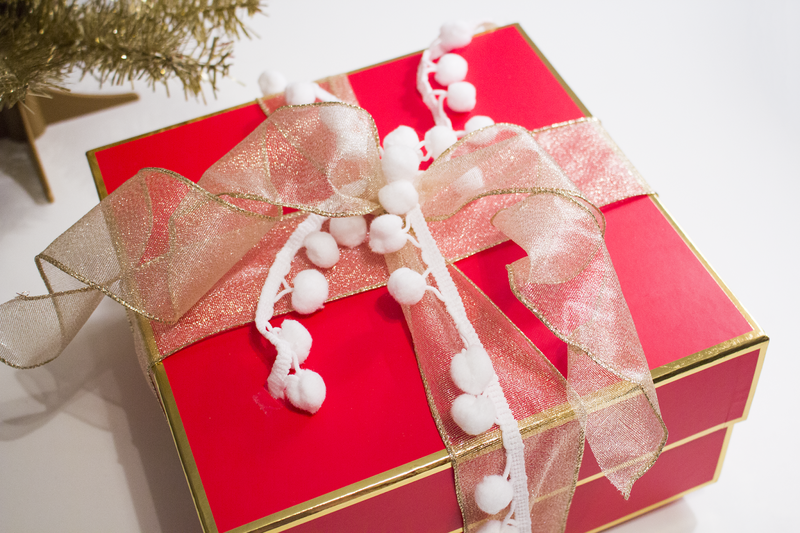 Make sure to hide the ends under the ribbon so it is covered up. I usually tie it around or tape it to the box. 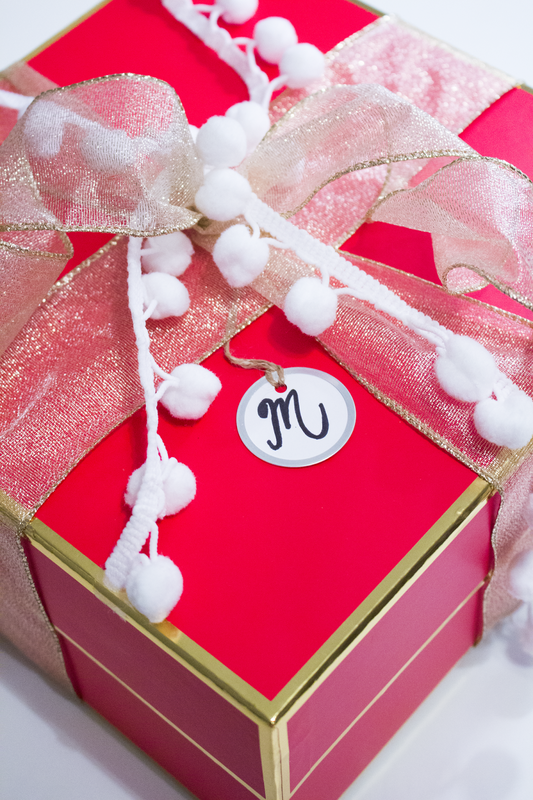 Tip: It's fun to use initials, numbers, or symbols on your gift tags. My mom numbered our presents one year so we didn't know who's was who's..no shaking or peeking for us! And that's it! 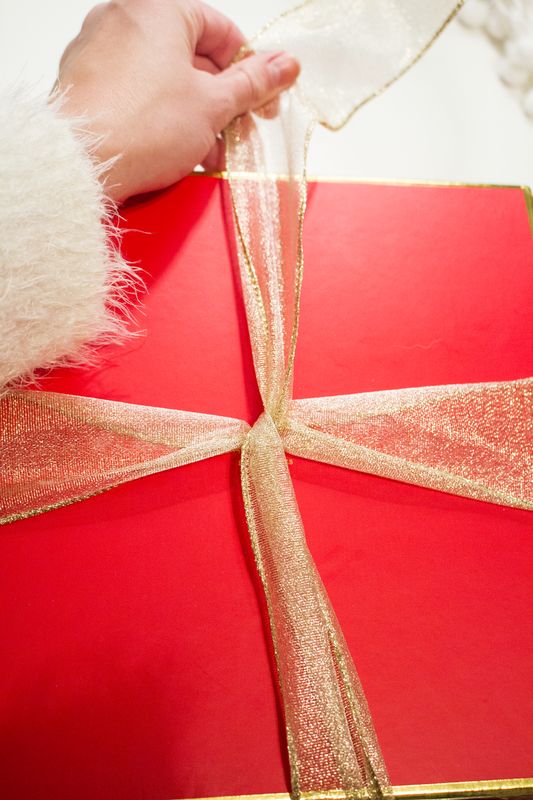 How cute will this be sitting under the tree?! What do you think? 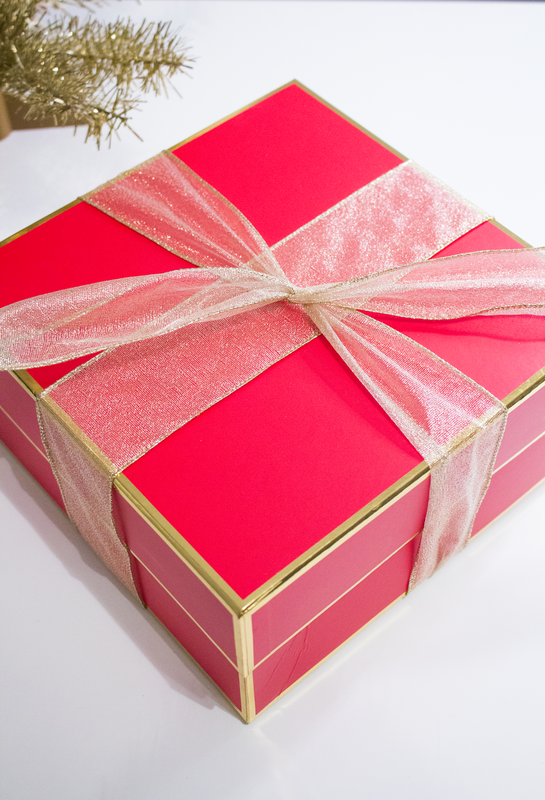 See more of my gift wrap favorites here!